In Memoriam: Rev. Gerald Van Overbeek, O.S.A. Rev. Joseph Van Overbeek, O.S.A. was born into eternal life on January 1, 2019. Gerald Joseph Van Overbeek was born September 22, 1934 in Chicago, Illinois to John C. and Kathleen Van Overbeek. He was Baptized October 21, 1934 at St. Brendan Church in Chicago. He received the Sacrament of Confirmation on September 30, 1945 at Our Lady of Solace Church in Chicago. Gerald is a 1953 graduate of St. Rita High School in Chicago. He was received into the Augustinian Novitiate on September 8, 1956. He professed temporary vows in the Order of St. Augustine on September 10, 1957 and solemn vows on September 10, 1960. He was ordained a Priest on February 6, 1965. Following profession of vows, Gerald studied for one year (1957-58) in the Augustinian collegiate seminary program at Immaculate Conception Seminary in Conception, Missouri. In 1958, when the Augustinian seminary program moved to Tolentine Hall in Olympia Fields, Illinois, Gerald continued his college studies there. At the time, Tolentine Hall was an extension of Villanova University in Villanova, Pennsylvania. He earned a B. A. in Philosophy from Villanova University in 1961. He then followed the course of theological studies, first at Augustinian Academy in St. Louis, Missouri (1961-63) and then at Tolentine College in Olympia Fields (1963-65). 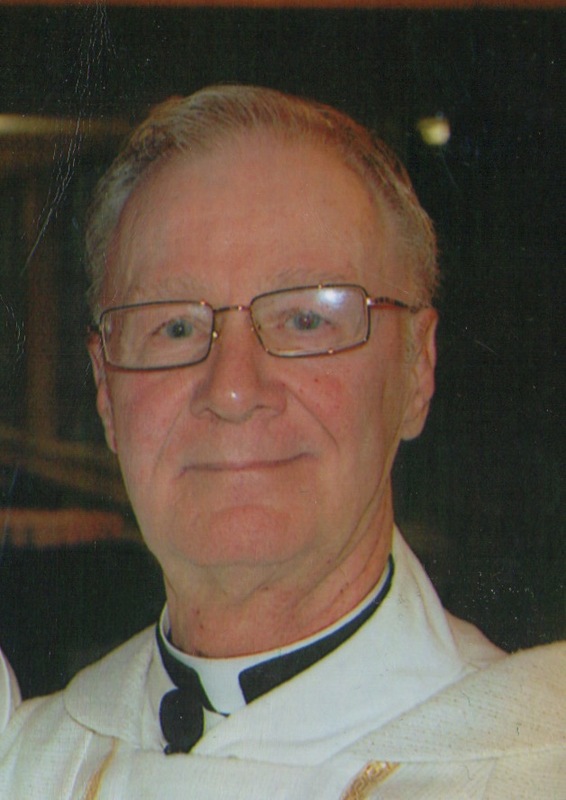 Father Van Overbeek earned an M. S. in Library Science from Villanova University in 1966. He studied at the University of Denver in Denver, Colorado (1968), earning a Certificate as Archive Administrator. He studied Spirituality at St. Louis University in St. Louis, Missouri (1975-76), which granted him a Certificate in Spiritual Direction. The University of San Francisco in San Francisco, California awarded him an M. A. in Theology in 1984. He did further studies in Religious Education at Boston College in Chestnut Hill, Massachusetts (1985) and Georgetown University in Washington, D.C. (1986). In 1995 and 1996 he took part in a program of Clinical Pastoral Education at the University of San Francisco. After ordination and completion of theological studies, Father Van Overbeek was assigned in 1965 to Austin Catholic High School in Detroit, Michigan as teacher and librarian. He was named librarian of Tolentine College in Olympia Fields in 1967. In 1973, he was assigned to Augustinian Midwest Priory (Villanova) as Director of Pre-Novitiate Formation. He continued in that position until 1981, except for a one-year break (1975-76) during which he studied Spirituality at St. Louis University. In 1981, he was assigned as a teacher to St. Rita High School in Chicago. He took a one-year sabbatical for Clinical Pastoral Education in 1995 and 1996. Following the sabbatical, he returned as a teacher to St. Rita High School. Father Van Overbeek was assigned in 1998 to Augustinian College in Washington, D.C. while ministering as a chaplain at Georgetown University Medical Center. In 1999, he was “on loan” to the Augustinian Province of California. During that time he was assigned to the Augustinian Community in San Francisco, California, and ministered as Parochial Vicar at St. Anne Church. Father Van Overbeek returned to the Midwest in 2000. At that time he was assigned de familia to St. Nicholas of Tolentine Monastery in Olympia Fields, but resided and ministered at St. John Fisher Parish in Chicago. On July 1, 2003, he was transferred to Cascia Hall Monastery in Tulsa, Oklahoma. He returned to St. Nicholas of Tolentine Monastery in September 2003. When he first arrived at Tolentine, he was recuperating from an illness. As his health improved, he began to give service as a volunteer in the Emergency Room at St. James Hospital in Olympia Fields. In 2008, Father Van Overbeek was assigned to St. Rita High School Monastery in Chicago. He greeted and assisted visitors to the school and served as a hall monitor. He became semi-retired in 2010 and was assigned to St. Rita Parish in Chicago. He resided at St. Brendan Parish in San Francisco from September through November 2011 before returning to St. Rita Parish in Chicago. He moved to St. Turibius Friary in Chicago in January 2013. He was assigned to St. Rita High School Monastery in Chicago in January 2014. During 2014, he spent two months as a resident Chaplain at Alvernia Manor in Lemont, Illinois. In 2015, he resided for five months at St. Ann Parish in San Francisco, where he provided sacramental ministries. He resided at St. Rita House in San Francisco, California from May 2016 through July 2017 where he was semi-retired. On August 1, 2017, Father Van Overbeek was assigned to Bl. Stephen Bellesini Friary in Crown Point, Indiana. On January 1, 2019, Father Van Overbook entered eternal life.